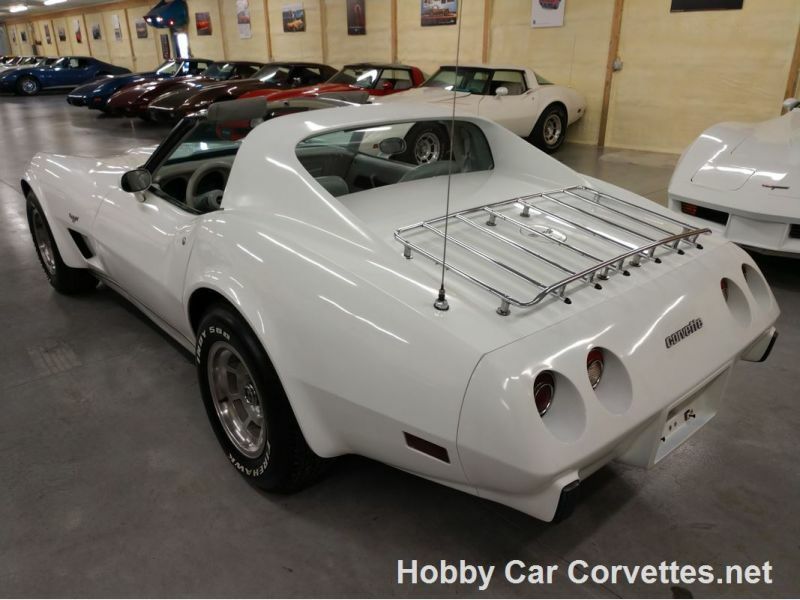 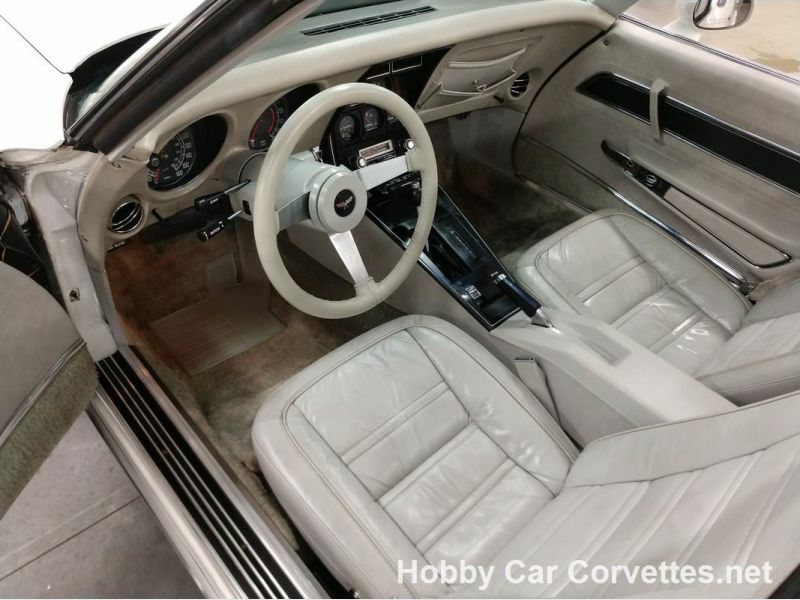 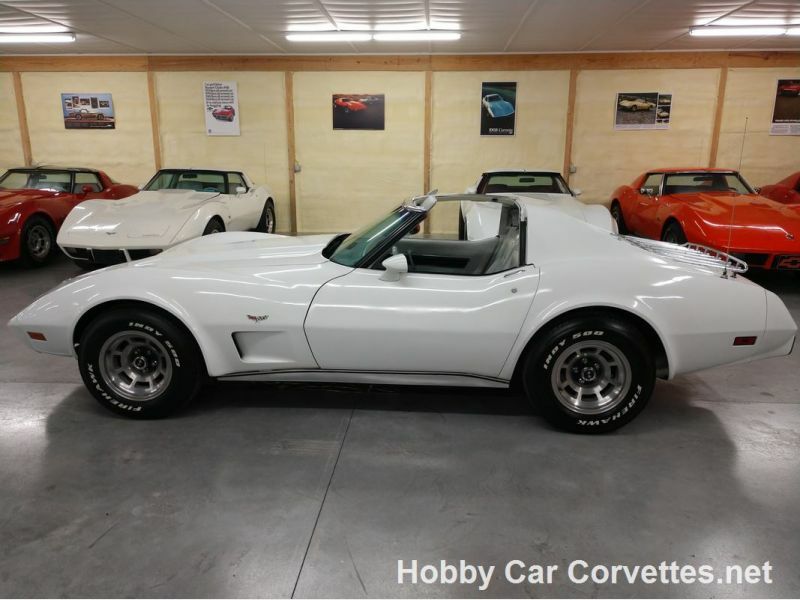 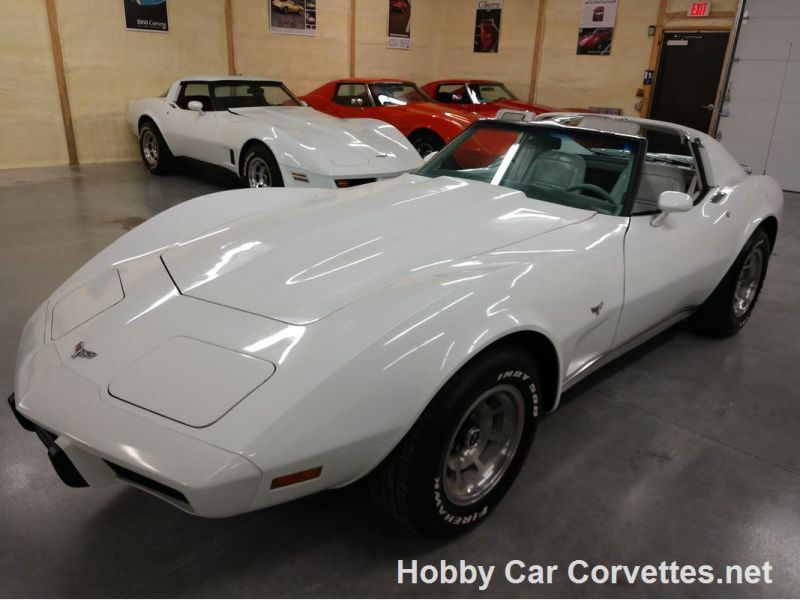 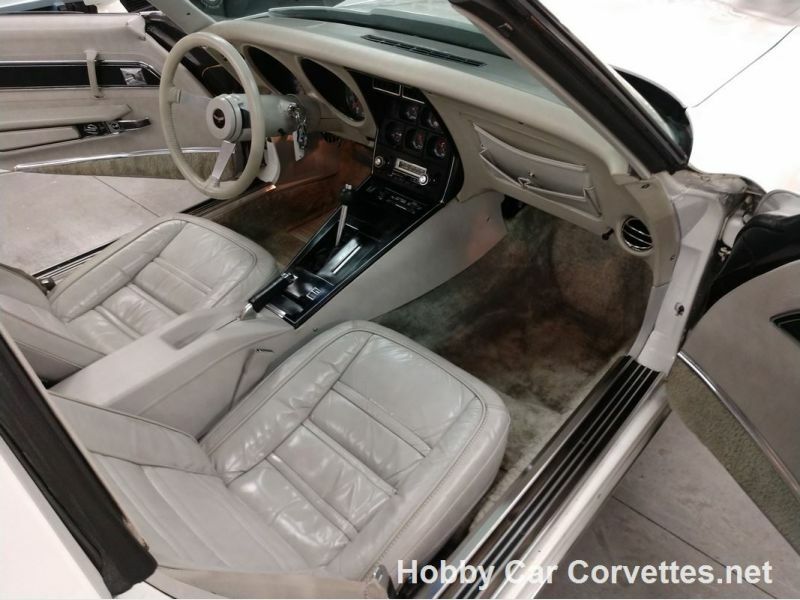 1977 Chevrolet Corvette for sale - Classic car ad from CollectionCar.com. 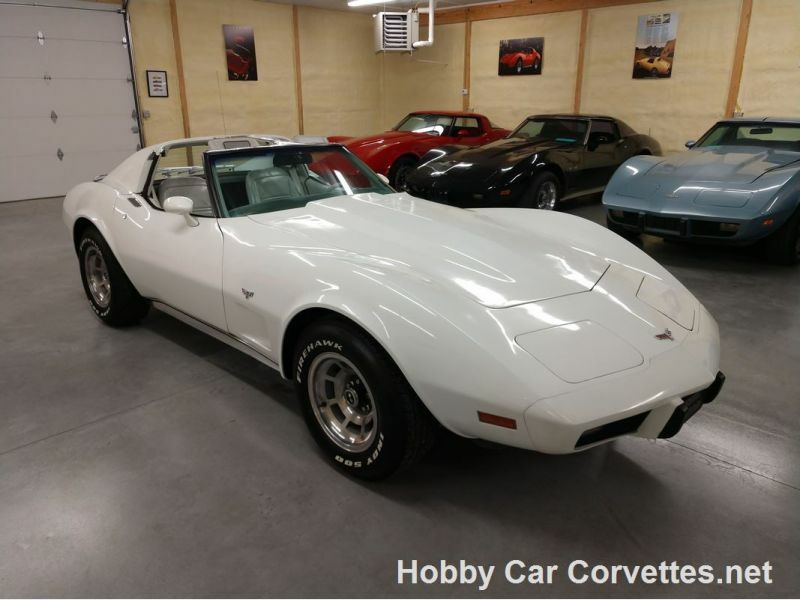 Numbers matching, L48/350 motor, automatic transmission, 71,760 miles on dash (title is exempt for mileage), original smoke leather interior, power steering, power brakes, A/C, power windows, AM/FM/8 Track player, tilt & tele steering column, alloy wheels, luggage rack, original ignition shielding, original valve covers, original air cleaner assembly, and much more. 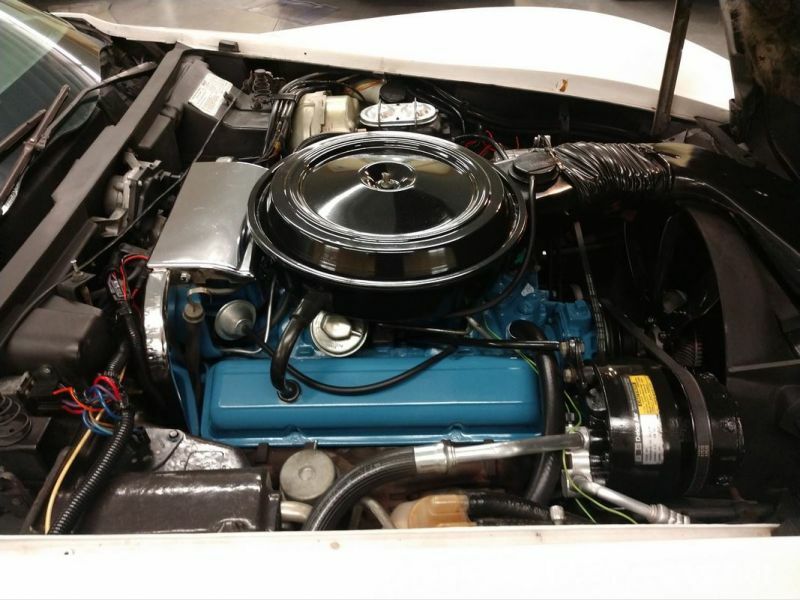 We changed the oil and filter, transmission fluid and filter, rear end grease and additive, and checked and lubed the chassis. 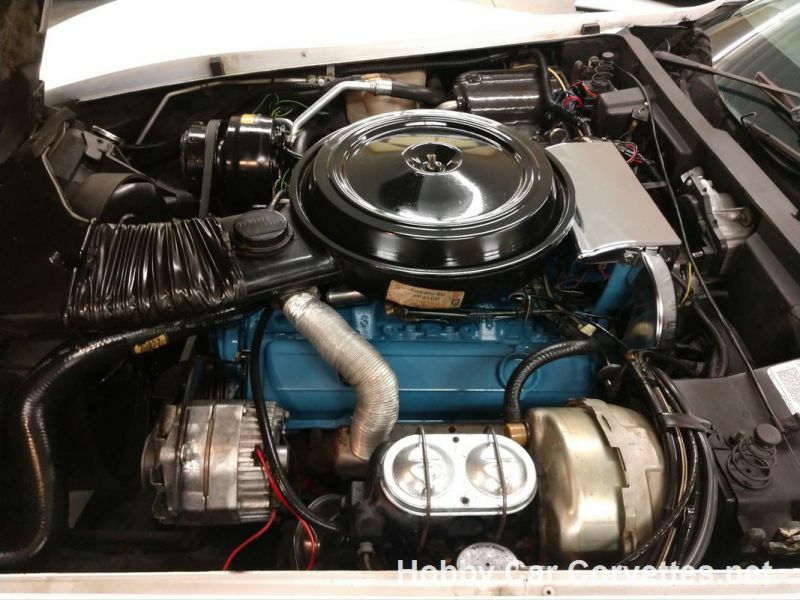 We also replaced the spark plugs, lower ball joints, sway bar links, left front caliper, and much more. 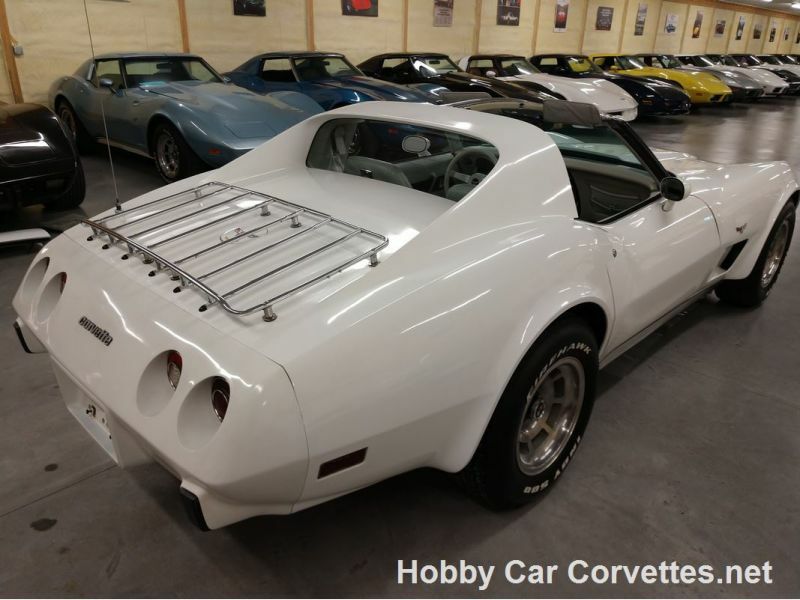 1977 was the last year for the short back window in a corvette. 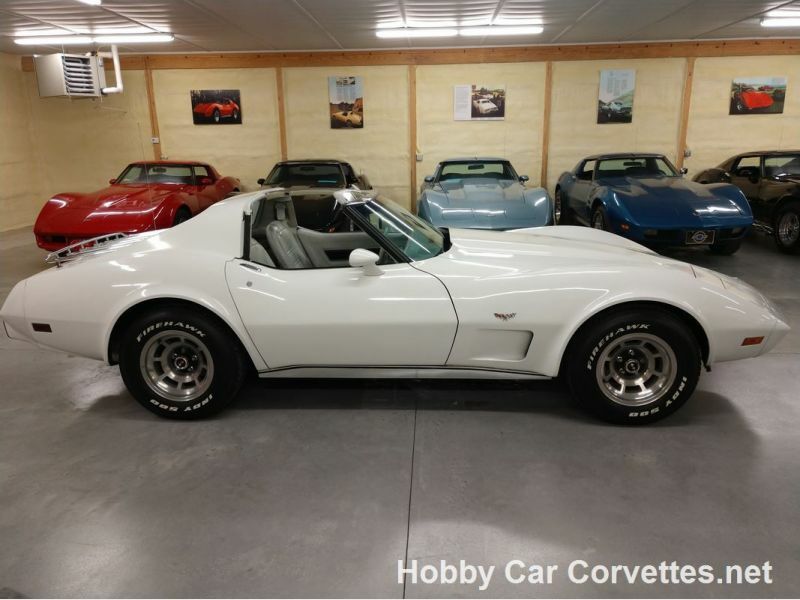 GM only produced 9,408 white vettes in 1977.